This utility replaces the contents in the selected cells with their formatted value. For example if you have a cell with the value "384216938" with the cell formatting "000 - 000 00 00" then it will be displayed as "038 - 421 69 38". 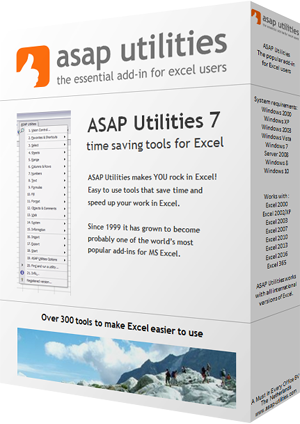 This utility will then fill the cell with the value "038 - 421 69 38". This can for example be useful when you use mailmerge in MS Word because that reads the value of the cell and ignores the cell formatting.